Exploring New Zealand... Then A Trip To The Moon! We'd travelled for experience and we'd motorcycled for fun. But we'd never really thought of doing both together. 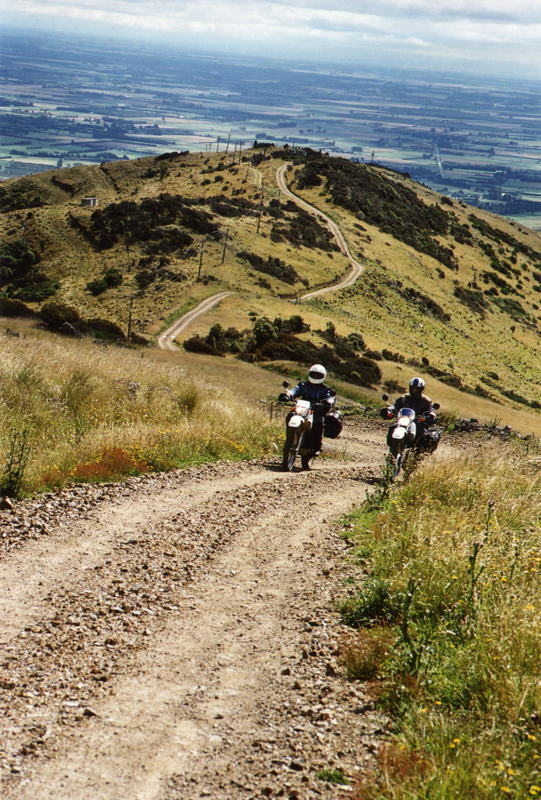 Then we were invited to spend a whole summer exploring New Zealand and decided motorbikes would provide a fun way to experience this wild and beautiful country. We struck a deal with a bike rental company and headed off into the glorious wilderness for three months on two small trail bikes. After 11,000 kilometres which took us up volcanoes, across river beds and through rain forests on ancient Maori tracks, gold-prospectors' routes and sheep drovers' trails, we re-emerged as changed people. What we experienced was so awesome, we had to share it with others. After two more years of sweating over a hot keyboard, 'Land Of The Long Wild Road' was born. The ink was barely dry on this first book when Bob was gripped by an urge to write a fabulous, fictional story about a colony on the Moon. Work began with detailed research. This had to be a fully functional, entirely feasible Moon base that could support its inhabitants indefinitely... in case the worst happened. After 8 years of research and 4 years writing, 'Mother Moon' was published in 2015, our first venture into the brave new world of fiction. The success of Mother Moon led to calls for a sequel and soon 'The Dark Side Of Mother Moon' was published. 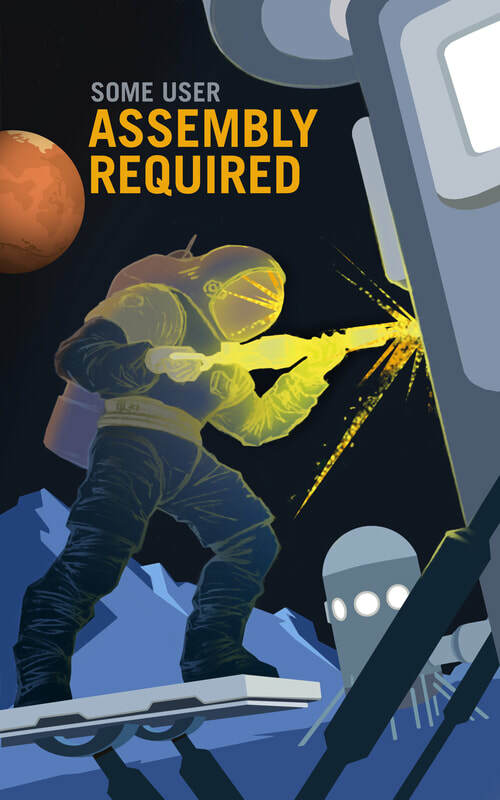 Another gripping 336-page novel that explores the connection between a future lunar colony and a wooden sailing ship plying the seas of Earth in the year 1504. Full details of these books and reader reviews can be found via the menu at the top of this page... or click on a cover picture to go straight there! A few years after our NZ trip the biking bug bit again. This time Ewan McGregor and Charlie Boorman's Long Way Round story inspired us to ride to Eastern Europe in support of children's charity EveryChild. 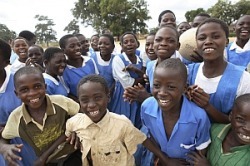 We'd supported this charity's child sponsorship programme for some years and had been to inspect their work in Malawi. What we saw there so impressed us with the excellence of EveryChild's endeavour, that we decided to ride from the UK to visit EveryChild projects in Romania and Bulgaria. What we hadn't bargained for were horrendous roads and the worst weather in living memory. 62 people died in the storms and floods as we rode through Romania, but somehow we survived this, and an unexpected night in a brothel, to tell the tale. 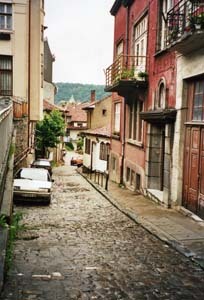 It's a story to make your toes curl - 'Beyond Bucharest'. Bob & Viv Goddard. Middle aged grandparents with itchy feet and a sense of humour. Bob was a journalist for 20 years, many of them spent riding and writing for publications like Motor Cycle News, Motorcycle Mechanics and Motorcycling magazines. When the kids left home, Viv decided she fancied riding a bike too. 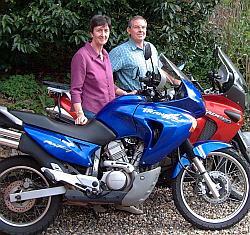 There's nothing more dangerous than a pair of dithery grandparents on large motorbikes so we went back to school. First with an ex-motorcycle cop who ran us ragged around East Anglia for a couple of days teaching us 'forward planning and observation' and 'making progress' (ie getting a move on!). Then we did the Norfolk police Safe Rider scheme, which taught us lots more vital lessons which undoubtedly kept us alive in Romania. 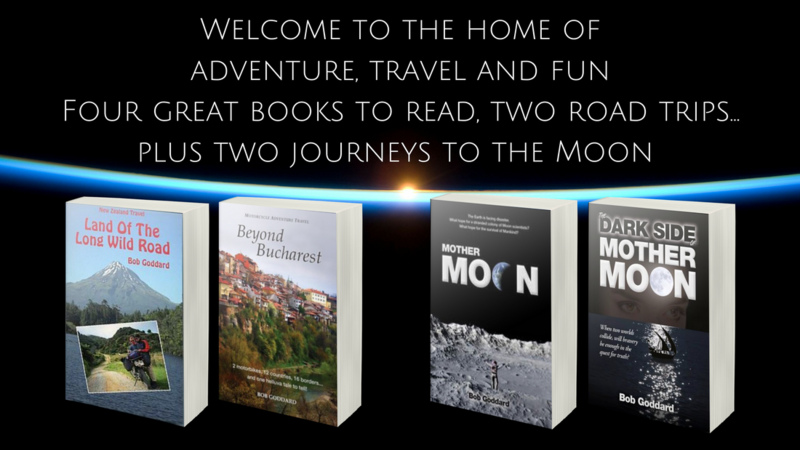 We also raised publicity for the charity and dedicated 'Beyond Bucharest' - and all the author's royalties - to help fund more life-changing work with vulnerable children. This seemed such a good idea, we've decided to donate all the royalties from our first book, 'Land Of The Long Wild Road' and our latest 'Mother Moon' to EveryChild too.